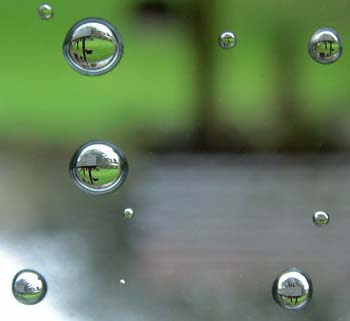 Welcome to lesson 2 where we'll look at another very important aspect of photography - aperture and shutter speed. If you have read lesson 1 you already know that aperture is important for getting the correct exposure but you may wonder what it is. But first things first. OK, we started with the Chinese again... Still, let's try to break that into pieces - meaningful bits if possible. In the picture above you see a normal lens (OK, I know that some of you who have compact cameras can't exactly imagine what that is but don't worry - the built-in lens of your camera has the same thing). So - see that strange shape in the middle - pentagonal - like hole? Well, in plain English the HOLE that is formed is called the APERTURE of the lens and the THING that forms it is called the DIAPHRAGM. So - in that diagram under APERTURE it says SIZE OF THE OPENING THROUGH WHICH LIGHT TRAVELS TO THE SENSOR. Basically the aperture controls how much light would get to the sensor and the diaphragm controls the size of the aperture. So far, so good. 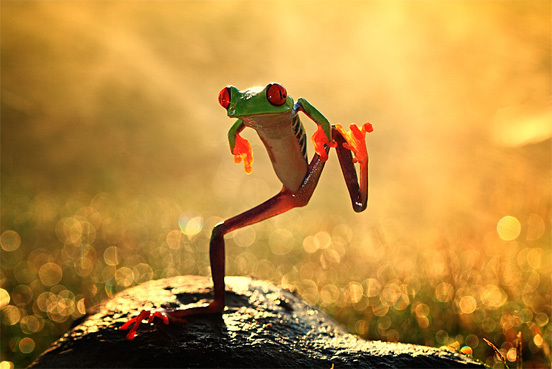 But as with anything else in photography (I guess in anything else as well) there is a catch. THE LARGER THE APERTURE THE LESS THINGS ARE IN FOCUS! 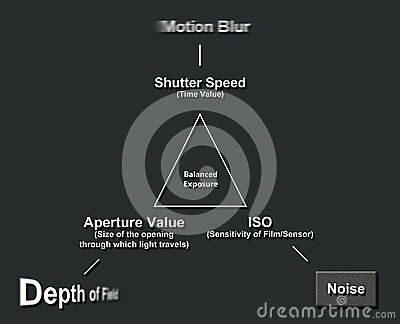 In our diagram that is said in photographic as DEPTH OF FIELD or as photographers love to abbreviate things to get people confused - DOF. Chinese again, hah? Here is the point - aperture is measured with F numbers. THE BIGGER THE F NUMBER, THE BIGGER THE DOF. You still don't get me, do you? 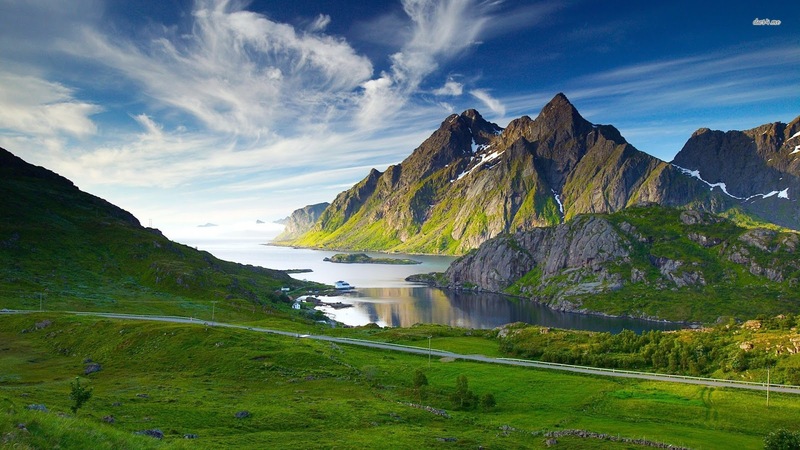 By analogy, if you want to take picture of that vast landscape you'll want everything in focus (photographic for that - 'pin sharp'). 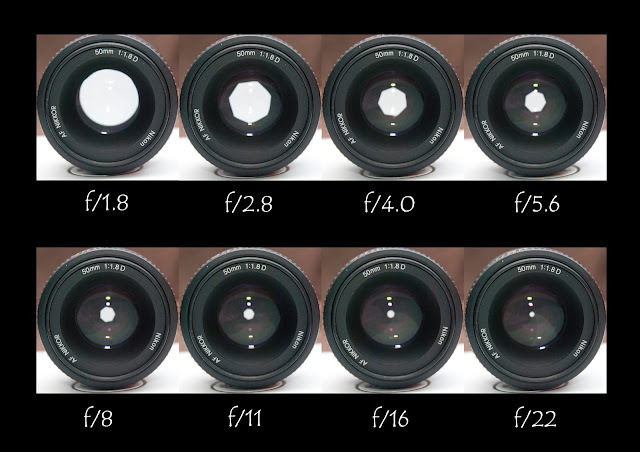 So you'll need a BIGGER F NUMBER (normally ranging between f/8 and f/22) to GET IT ALL IN FOCUS. 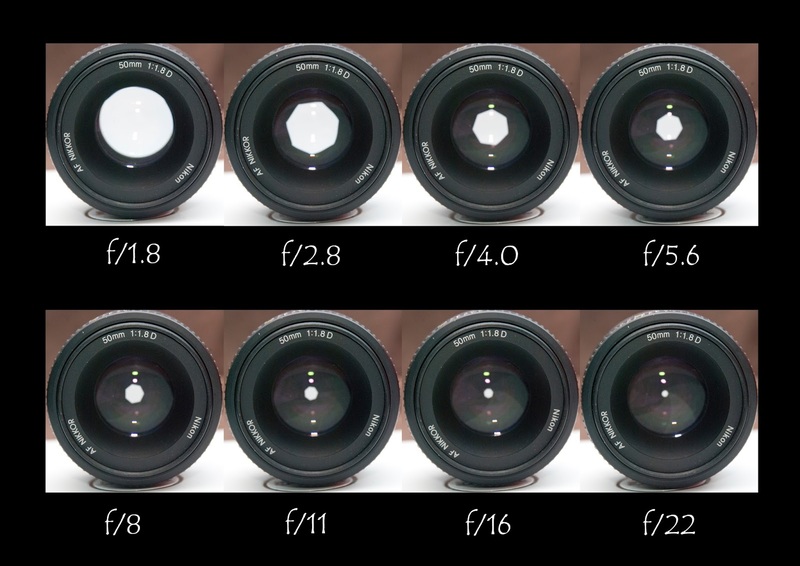 Confusion continues because BIGGER F NUMBER MEANS SMALLER APERTURE. That is so because the hole needs to be very small in order for the sensor to get it all OK - like the method of camera obscura (I'm not gonna explain that here, just Google it). There is only one thing you should know about aperture - THE BIGGER THE APERTURE THE MORE THE LIGHT AND VICE VERSA. 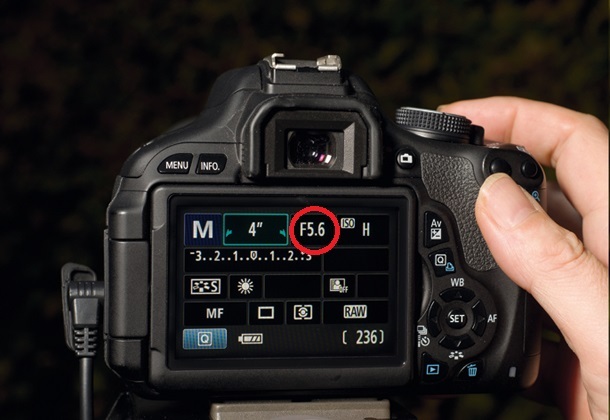 That means that at f/2.8 you'll not need abundance of light whereas at f/16 you'll do. Posted by Bistra Stoimenova at 14:23 ч.